Home/blog/Containers vs Serverless — What Should You Use? It is expected that serverless computing will grow to $7.72 billion by 2021 and the adoption of containerised applications will grow by 40 percent every year through 2020. A container partitions a server or machine into separate environments in a way that each environment runs only one application and it doesn’t interact with the other partitioned sections. In other words, a container comprises of the application itself and the elements that are required to run the application properly including system settings, system libraries, and other dependencies. 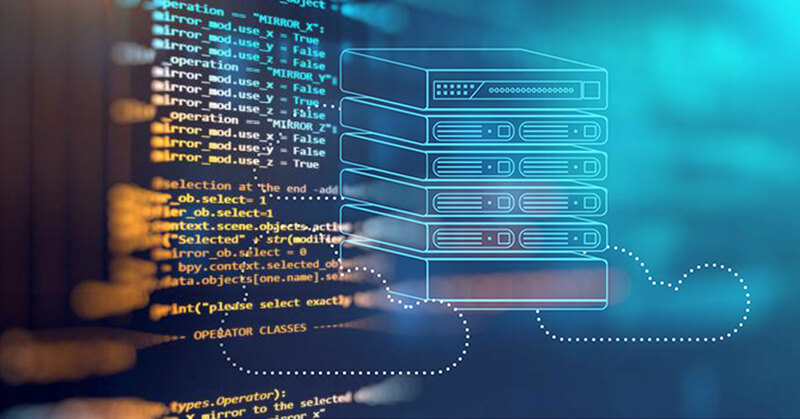 The biggest advantage of a containerised application is that it can be run the the same way on any platform, irrespective of where it is hosted. In serverless computing, virtual machines are replaced with computing power. They get activated when there is a demand and disappear right after use. Despite its name, there are actually servers involved in running your application managed by third party cloud service providers. You can configure different events like API requests to trigger the serverless function. After the function is complete, the server goes idle until another trigger request is made. Most importantly, you are only billed for the time the server is actually running and not for the idle time. While serverless computing does run on actual servers, it is up to the cloud provider to find the appropriate server space needed for the application to run. Containers, on the contrary, can be easily hosted on different machines, at a time, they run on a specific machine at time where you are hosting it. Serverless computing provides way more scalability than containers. That is because, when implementing a container, developers need to decide in advance the number of containers that they want to deploy. In case the demands exceed expectations, it’s not possible to deploy new containers in real-time. On the contrary, serverless computing is more scalable as its backend can automatically scale to meet the changing demands. Since containers are always running, cloud providers charge you for the total server space used by the containerised applications, whether the application is running or not. With serverless computing, on the other hand, you are charged only by cloud providers when the application is actually running and there are no extra expenses for when the application isn’t running. In case of containers, developers are responsible for managing and updating every container that they deploy. Serverless computing has no backend for developers to manage, cloud providers take care of all the software updates and general maintenance of the servers. Containers need to be fully configured for several parameters like libraries and system settings. That is why, they take longer time to be deployed. On the contrary, serverless applications are much smaller as compared to containerised applications and they do not have any system dependencies because of which they get deployed much faster. In fact, serverless applications can go live as soon as they are uploaded. Containers run the same way, no matter where they are deployed which makes it relatively easy to test them before deployment. On the other hand, it is rather difficult to test serverless applications because the backend environment can be difficult to replicate in your local environment. You could create a virtual testing environment, but even that takes a lot of time. Serverless computing can be used to make new applications that need to go live quickly and you aren’t sure if you would need to scale the application or not. Not to mention, serverless applications are also more cost efficient. Since Azure supports both containers and serverless computing, it is an optimum choice for a third-party cloud provider. At Swan Solutions & Services Pvt. Ltd, we can not only help you make the right pick between containers and serverless computing, but we can also help you set up Azure services. To know how we can help you, ​contact us today.